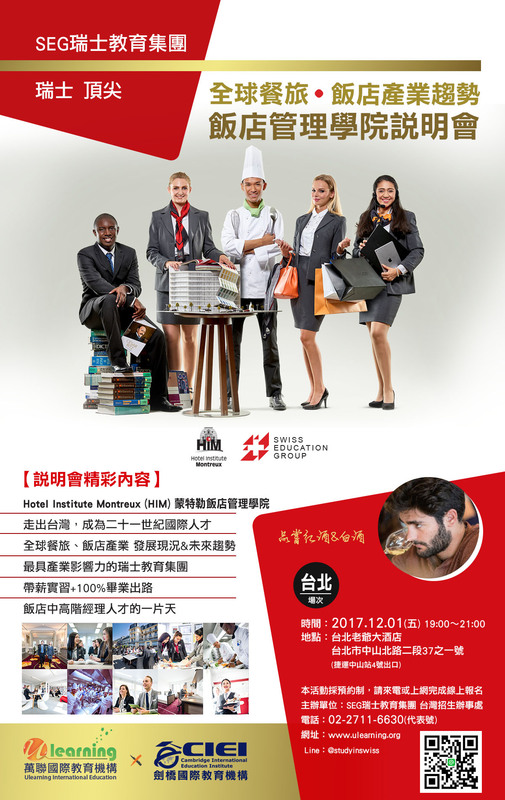 Students following the Marketing specialization at the Hotel Institute Montreux, run in partnership with the Montreux Jazz Festival, held a spectacular inauguration event to present their poster ideas for the jazz festival. The poster is a central element to the marketing plan that each of the nine groups has been working on throughout the semester. With more than eighty guests, including representatives from the Montreux Jazz Festival, at the inauguration, students had the opportunity to present their projects and to convince them to vote for their project. The passion, creativity and hospitality shown by students was outstanding. 瑞士知名資訊網站『MyMontreux.com』特別邀請SEG瑞士教育集團CEO（同時也是最疼愛萬聯的好朋友） – Florent Rondez 進行關於蒙特勒的專訪！ 快跟我們一起來看看純正瑞士人 Florent 眼裡的 Montreux 吧!! PS. Florent本人目前也是住在 Montreux 喔! !